CreatedRed Media was born to address the change in how buyers respond to old, interruptive marketing styles. Buyers are more aware, more educated about their purchasing decisions, and at the same time, more able to tune out traditional marketing methods. That’s why we concentrate on inbound marketing and lead generation, with a specialist knowledge of technology companies and their needs. We create quality content to attract, engage, convert, and delight potential customers; our HubSpot partnership allows us to provide effective, fully managed campaigns through their integrated marketing platform. 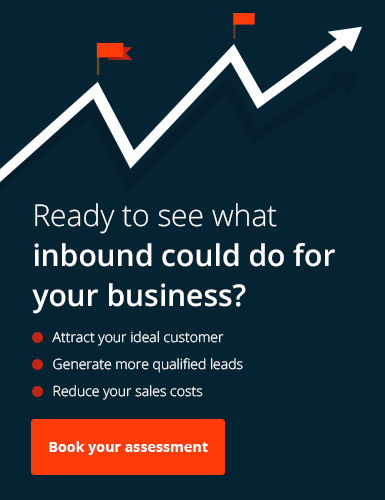 Being based in Selby, North Yorkshire, we’re the ideal inbound marketing partner for B2B and technology companies across the Yorkshire region and major cities such as York, Hull, Leeds, and Sheffield. Our team is 100% focussed on delivering the best inbound marketing solution to your creative online marketing needs. Fact. Although few in number, we practice efficiency and stay agile to respond to the fast-paced nature of creative digital marketing – something which larger companies struggle to do! Results and ROI are important; as a HubSpot partner, we have incredible insight into campaign performance, allowing us to continually improve each aspect. We tailor solutions to your customers’ needs and pain points, expertly blending this with your input to ensure the result is a motivational force that pushes customers through your doors. Our team has over 30 years of experience in the IT, technology and creative design industries helping to produce leading marketing solutions for big names including Virgin Holidays, NHS, Mitre, and Nestle. We bring all of our know-how to each and every project we deliver so you know you’re in good hands. Our founding team’s background is firmly planted in IT infrastructure, software development, SaaS services and the technology industry, so working with technology companies is a natural fit for us. We understand the context of technology today and the role it plays in both business and consumer markets. Because of this background, we can quickly form a solid understanding and appreciation of your specific products and services and how they can be leveraged to produce content that attracts, engages, and converts your visitors into valuable clients.